This notice is to inform the public that, Texada Apartments will no longer be accepting waitlist applications until further notice. Due to the number of families currently on the waitlist for Texada Apartments, the wait time has exceeded the standards set by HUD. Bryant Manor Apartments will announce the reopening of the waitlist when wait times for our property are no longer exceeding HUD standards. If your name is already on our waitlist for Texada Apartments, One Bedroom units, you do not need to take any action. Any applicants on the waitlist will remain on the list. We encourage applicants currently on the waitlist to update their personal information when a change has occurred. If we are unable to contact you with information listed on application, you will be removed from the list, and unable to re-apply until the waitlist is reopened. If you have any further questions regarding the waitlist, please feel free to contact the office. HUD Section 8. Tenants must income qualify. Housing for seniors 55 years of age or older only. All units subsidized through HUD project-based Section 8 subsidy. You do not need a voucher to receive a subsidized rent at this property. You will only pay 30% of your income for rent. Spacious apartments in classic building. 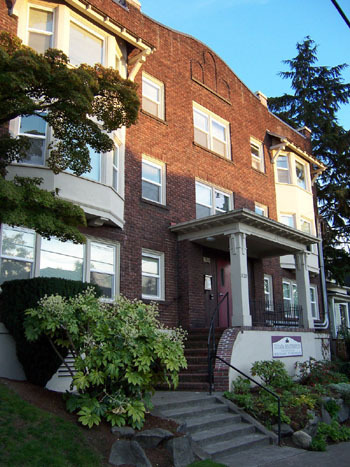 Located on a major bus route, convenient to downtown, medical facilities, restaurants, etc. Water, sewer and garbage included in rent. Rent Detail: All units subsidized through HUD project-based Section 8 subsidy. You do not need a voucher to receive a subsidized rent at this property. You will only pay 30% of your income for rent.